Seven out of 10 Americans admit they spring clean each year. What are the top reasons for a yearly deep clean? Sixty percent of people admit they do it to really clean their home. After that, decluttering, reducing common allergens, and killing viruses and other germs are the top reasons. When it comes to spring cleaning, most people think of it as an indoor project. Bathrooms and kitchens get the most attention. Some people also realize that the outside of the home also needs attention. No matter where you’re devoting your attention, make sure you have Chicago Canvas tarps on hand to simplify these common spring cleaning projects. Wood stove, fireplace, or pellet stove soot builds up on ceilings. It may not be noticeable at first, but years down the road, look at your ceiling. Do you see the dingy gray coloring? That’s years of soot building up. Even dirt from outside air can build up on painted surfaces. Scrubbing it away each year helps, but over time, you’ll need to put a fresh coat of paint on your ceiling. Experts at Home Advisor recommend repainting ceilings at least every 10 years. When you’re painting a horizontal surface like a ceiling, drips and splatters are inevitable. You can move your furniture to another room, but the floor is still a target for dripping paint. It’s best to cover all surfaces by using a dropcloth. Cover all furniture and flooring with a dropcloth (or a poly tarp, but be sure not to use a tarp with wax or petroleum as it can rub off and damage furniture) before you get started. Decluttering is an important part of spring cleaning. In a year’s time, it’s surprising what gets collected. You discover you have dozens of books to give away. You have too many coffee mugs or shoes. Your closet is overflowing with clothing you never wear. All of this clutter needs to be organized. Set four colored poly tarps on your yard (again avoid any tarps or items that may rub off on your items). On one, you’re going to put items that you can donate to a charitable organization like Goodwill. A second tarp is going to hold things you want to keep. The third tarp is for items that need to go into the trash. Finally, a fourth tarp will hold items you could sell online or at a yard sale. If you have others helping you declutter, make sure they know the color-coded system for placing the items. The poly tarps protect the items from dew on the ground, crawling insects, and dirt or pollen. When the decluttering project is done, only those items that you’re keeping will go back inside the house. Everything else moves to its new destination. Items for the landfill can go into trash bags or into a truck to get hauled away. Donations get delivered to the organization. Yard sale items go into a garage or shed until the sale date. Microscopic mites are all over your home. They live on dead skin and pet dander. The mattress and sofa are two areas where they live happily. For most people, these tiny insects aren’t a concern. If you have allergies, dust mites can worsen the symptoms. The UVA and UVB rays of the sun can help kill some of these mites off. Lay down a waterproof tarp on a driveway or yard and move the sofa and mattresses onto the tarp. Sprinkle them with baking soda and let them sit in the sun for a few hours. When they’ve had time in the sun, vacuum them thoroughly before returning them inside. If you have an upholstery steam cleaner, you could use that machine first and let the furnishings dry naturally in the sun. Window screens get dirty throughout the year. Dirt and pollen are only one part of why they can get so filthy. Contaminants in rain and snow also stick to the screening. If you’re close to the road, spraying slush from snowplows and traffics can reach the windows. You can wash windows, but screens don’t always get the same attention. The easiest thing to do is lay them in the yard or driveway on a tarp. Spray them with a mix of water and white vinegar and spray them off with a hose. When you’ve done one window screen, spray the tarp off and do the next. The tarp will keep dirt from the lawn from spraying back up. 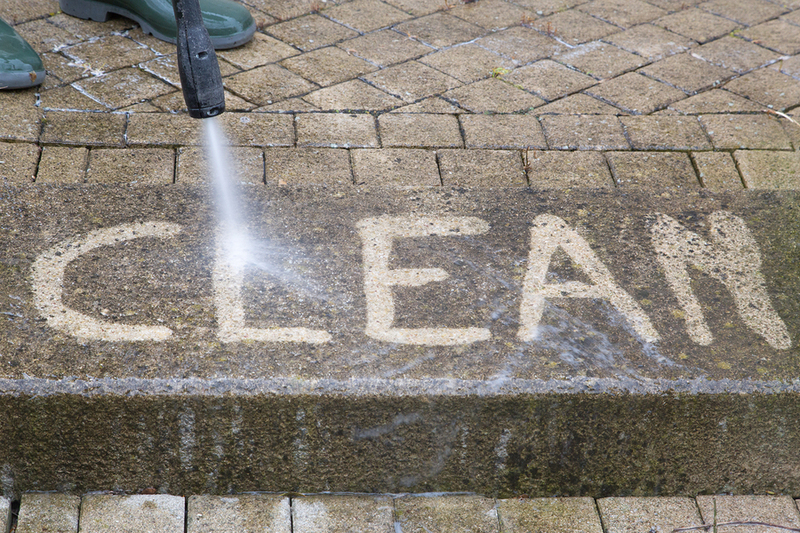 Pressure wash dirt, algae, mold/mildew, and lichen off your deck, siding, and patio bricks. A bleach solution will help keep remove pesky stains. That bleach will also harm plants, vines, and shrubs, so you need to cover them with water-resistant tarps before you turn on the power washer. Once you’ve washed all surfaces, let the sun evaporate residual water and cleaner from the siding, decking, or bricks. Once these areas are dry, you can remove the tarps. This makes sure that the chemicals have evaporated before you expose your greenery. Tarps come in many sizes and materials. Some are ideal painter’s dropcloths while others are best for repelling water. It’s important to match the tarp material to your spring cleaning project. This can challenge a novice, but we’re here to help. Talk to a specialist at Chicago Canvas & Supply. We’re happy to assist you in finding the perfect tarp for the job. Call 1-866-389-2218 to learn more. The Association of Pool & Spa Professionals estimated that there were more than 1.5 million aboveground and inground pools in the United States during 2013. A pool is a long-term investment that provides all ages with exercise, family time, and respite from the heat. To make sure this is an investment that lasts, a pool needs to be maintained and protected. 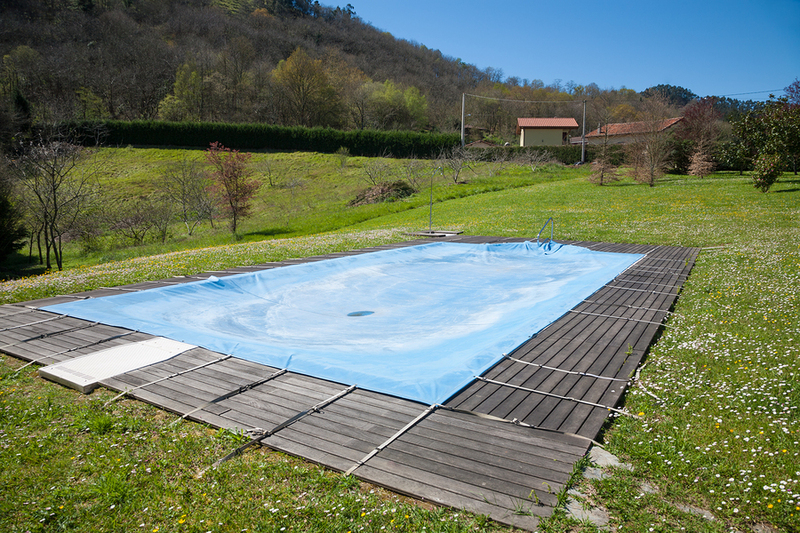 Putting a tarp over a swimming pool is one of the easiest ways to protect your investment. Once a pool is installed, you need to maintain the water quality. To do this, there are three steps. #1 – Scoop bugs, leaves, and other items that make their way into the pool during the day. The filter is designed to trap them, but they may not make it to the filter before sinking. It’s unpleasant swimming in a pool where there are dead bugs, leaves, and other matter lying on the ground. #2 – Check the water quality at least twice a week. The pH is one of the most important components of water quality. If it’s too acidic, it can damage your pool’s walls, floor, and filter system. If it’s too low, the water can become cloudy and scale and mineral deposits will build up. You’ll also check the alkalinity, calcium levels, and the presence of metals like copper and iron. You want water that is free of bacteria. Bromine or chlorine are helpful here. Algaecide keeps algae from growing. #3 – Depending on your filtration system, you’ll have work to do. Monitor the pressure gauge to ensure it is in the 7 to 10 pound range. If it is outside this base reading, the filter needs attention. If you have a diatomaceous earth or sand filter, you need to backwash the system to clear debris from the filter. If you have cartridge filters, you’ll need to spray the one that’s currently installed to remove particles and soak it in a cleaning solution for 12 hours. You should have two filters to ensure continuous operation of the filtration system. When the pool is not going to be used for a while, usually during the fall and winter, you need to keep it covered. If you don’t, leaves and twigs will fall in and create silt that is not desired. You can buy a pool cover from a pool and spa store, but they can be expensive. Save money covering your pool with a tarp. There’s a second reason to get a pool cover. In northern climates, it can take time for the warmer spring and summer weather to bring the pool water up to a tolerable temperature. With a black mesh pool cover, it can attract the sun each morning and help heat the water faster. You get more use from your pool. Simple pull it on at the end of the night and remove it before people want to use the pool. CCS polypropylene mesh tarps are the best tarp for pool covers. They do an exceptional job blocking sunlight, which is essential for preventing algae growth when chemicals are not being added regularly. Polypropylene tarps are strong, too, so they can withstand the weight of ice and snow that builds up over the winter. To attach the pool cover to the top of your aboveground pool, you need a tie down system for the cover so that it won’t blow loose. 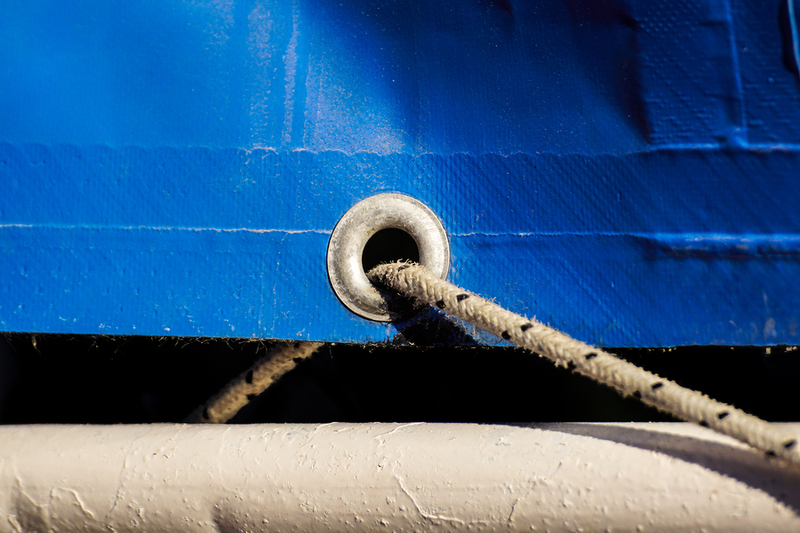 The cable gets fed through grommets and secures the tarp below the rim of an aboveground pool’s top rail. Be sure not to make things too tight as you could rip the grommets right out! If you have an inground pool, order a polypropylene tarp that’s bigger than your pool. Your inground pool deck should have anchors installed, if not you’ll need to install them every two feet. Be sure to secure it tightly while not applying so much pressure you damage the grommets. You may want to get an air pillow that floats on the pool water’s surface to prevent the cover from sinking before the pool water freezes. This also helps keep snow and ice from weighing down the cover and putting extra pressure on the pool walls, further extending the life of your tarp. Do you need a pool cover in a custom size? Chicago Canvas & Supply has a full range of mesh tarps that allow air and water to pass while keeping leaves and other debris out of your pool water. Receive a custom quote within one business day – contact us today! Different tarps have different intended uses and thicknesses. 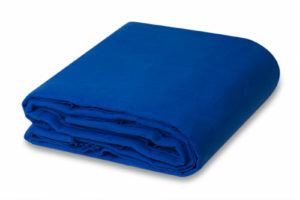 At Chicago Canvas & Supply, we sell provide several types of tarps. Canvas tarps can be treated or untreated. Treated cotton canvas is a popular choice for people looking to cover cargo, equipment, and supplies found at construction sites and farms. As the cotton canvas is treated with oil and wax, they can stain a car’s finish,which makes them unsuitable for vehicle covers. The oil and wax treatment helps control mildew growth and repels water. Untreated tarps do not repel water and should not be used outside when it is wet. The natural cotton fiber is durable and can last years, but if a tear starts, it needs to be mended as quickly as possible. Clear PVC tarps are meant to be used as curtains. The sheer material allows for light to get through and people to see through. The material is waterproof and stands up to wind, which makes it a popular choice when covering a door in the winter or extending the use of a covered deck or patio as it gets colder. The 20 mils thickness does help them last a long time. Iron Horse Polyester tarps are designed to last. They’re waterproof and stronger than canvas. This doesn’t mean that these tarps are indestructible. They can develop rips if you do not properly care for them. With proper care, you will get several years of use from this tarp. Mesh tarps come in a variety of materials and are designed to be breathable while blocking some of the sun’s UV rays. Vinyl coated color mesh doesn’t block as much sun at 55 percent. Polyethylene mesh tarps are made from polyethylene mesh and block almost 90 percent of the sun’s rays. Polypropylene mesh offers the most protection from the sun with UV protection reaching 95 percent. 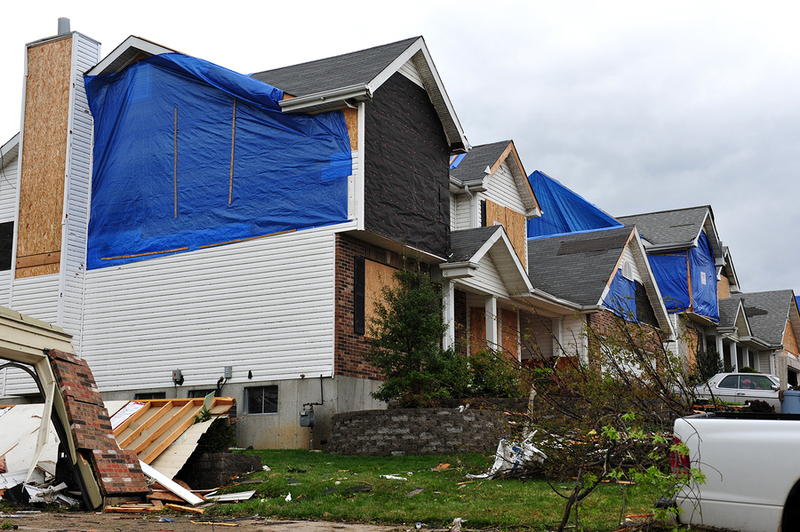 These tarps are designed to allow air through while keeping debris contained. They make great pool covers or covers for trucks carrying lightweight items like wood shavings that would otherwise blow away. Poly tarps can be designed for light use or heavy use. Blue poly tarps are the tarps you often see in discount stores. They’re only 4 mils thick and don’t tend to last long if used or maintained incorrectly. Heavy-duty poly tarps are designed to last longer. Vinyl tarps are poly tarps that have been coated, laminated, or tempered with vinyl. As they’re designed for industrial use, they are strong and resist tearing. Expect these tarps to last several years in severe conditions like heat, heavy rain or snow, or cold temperatures. Do you want to keep your canvas tarp in great condition for as long as possible? Proper care and maintenance are important for a long lifespan. There are three key steps to making your tarp last. Let’s say you want to cover your swimming pool with a tarp. You should never use a canvas tarp. The wax or oil on a treated canvas tarp would get into the pool water. An untreated canvas tarp would develop mildew. Make sure you’re using the tarp correctly. If you need a furniture cover while you paint, untreated canvas tarps are ideal. If you want a tarp to put down on the lawn before getting a delivery of mulch, a blue poly tarp is perfect. When the tarp is not in use, make sure you have cleaned it off and hung it in the sun to dry completely. You do not want to fold the tarp while it is still damp or dirty. Fold the tarp with the help of another person. Fold in half and then repeat until the tarp is compact enough to be placed in a plastic tub that has a tight-fitting lid. Why store it in a plastic tub? If you store the tarp in a shed or garage, there is the risk of mice chewing holes in the tarp. The bottom line is that material, care, and use all impact how long tarps last. Make sure you match the material to the intended use. Keep it in good condition. Each of the tarps we offer has an option allowing you to see the intended use. Refer to this as a guide on which material to pick. If you have any questions, contact Chicago Canvas & Supply’s live chat help desk for immediate help! According to Consumer Reports, a rigid truck cover, such as a Tonneau cover, ranges in price from a couple hundred dollars for a basic model to well over $1,500 for one that is electric. That’s before installation costs are even added. Sure, they keep items in your truck bed dry and secure, but does the cost add up in terms of resale value? Can you afford the higher cost? And if you have a larger truck like a dump truck or semi, a Tonneau cover isn’t even an option. A durable, waterproof tarp is a fraction of that estimated price. You also gain some perks that make them more appealing. You get to match the tarp’s material with your environment and needs. If snow and ice are worries, a heavy tarp will not rip under the weight of snow. With different materials and densities, you’ll have the ideal cover. Rigid covers have to be installed. You might be able to do it yourself, but some kits are best left to the professionals. Kits may use clamps that could scratch the paint if you’re not careful. Others use adhesive strips and bolts. Removing the cover at a later date may be impossible. A truck bed tarp is incredibly easy to install. With a tarp and some bungee cords, you’ll have a customized truck bed cover at a huge savings in just a few minutes. When you want to remove it, remove the bungee cords, fold the tarp, and you’re done. There are a few tips to use when choosing the best tarp for your truck bed. Tarps come pre-measured or cut to your specifications. A pre-measured tarp is the finish size. A custom tarp starts with a cut size and then adds extra inches for the finishing work like hems. Finding an exact match with tarps that are pre-measured is often tricky. You may have to go a size too large and secure the excess before driving away. For this reason, people find custom size tarps for truck beds are ideal. Chicago Canvas & Supply offers free quotes. When a tarp is made, the material is measured and cut. This is the cut size. Hems are then sewn on each side and grommets are added. The hemmed edges deduct six to nine inches from the cut size. A finish size tarp is measured after all of the hem work is completed. It’s the final size of the tarp. And, it’s important to note which measurements you’re using when you’re asking for a custom truck bed tarp. To get a precise measurement, take a tape measure and get measurements from the window to the outer edge of the tailgate. Allow a few extra inches on each side to avoid any gaps that would let water into the truck bed. Repeat this going from one side of the bed to the other again measuring from the outer edge. Once you’ve taken the measurements, do yourself a favor and remeasure it. The popular saying “measure twice, cut once” is important here. You don’t want to make a mistake and end up with a tarp that’s too short or too narrow. Once you have the truck bed size and the overlap, you can send them for a custom quote. Just make sure you specify those measurements are finish size and not cut size. 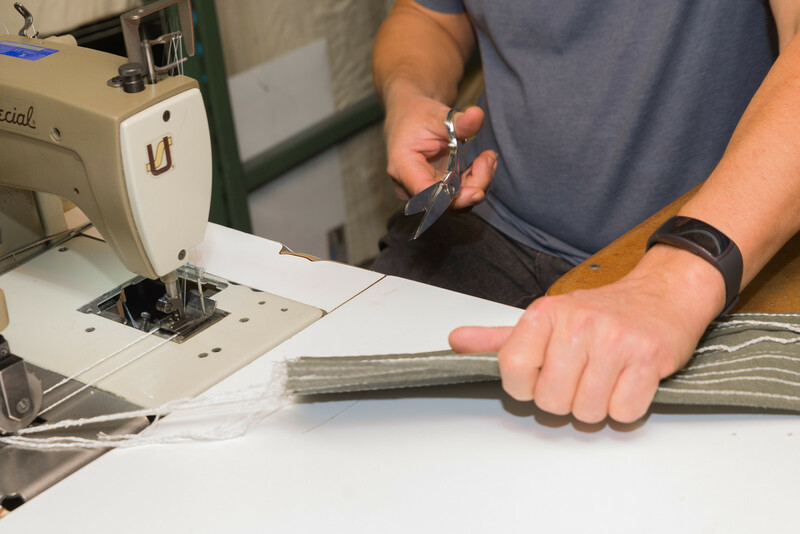 If you’d rather come up with the cut size, you’re going to take your measurements and add extra inches for the hem. Two of them are good for making tarp truck bed covers. Take a closer look at Iron Horse polyester and vinyl. 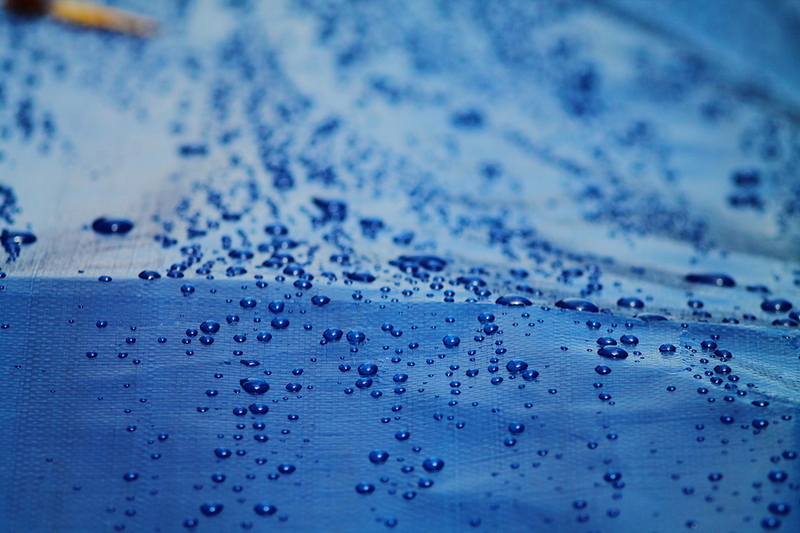 These are thick polyester tarps that are twice as strong as a cotton canvas. Key benefits are that the breathable material is waterproof and won’t stain. It also lacks the plastic or chemical odor that some tarps have. 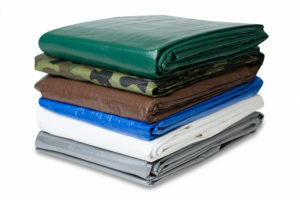 If you choose Iron Horse fabric for your truck bed tarp, you have a choice of seven colors. This should be your first choice for a truck bed. There are three types of vinyl tarps: vinyl coated, vinyl laminate, and vinyl temper. Vinyl laminate really can’t withstand the wind and weather conditions a truck bed tarp needs to protect against. That narrows the best options to vinyl coated tarps, which are UV treated to help prevent damage from the sun making them handy when you’re moving furniture. Vinyl temper is commonly used for tents. It resists ripping and tearing and is waterproof. Visit Chicago Canvas & Supply for a custom quote. They’re free and returned within one business day. You can also order samples of tarp materials if you can’t make up your mind. Visit the website now and find an affordable tarp truck bed cover. After a lot of use, your tarp is worn, faded, or damaged. You need to dispose of it. You wonder can you recycle a tarp? You may end up having to find your city or town’s recycling guide for a firm answer. Each city or town is a little different. A great resource for finding a place to recycle your tarp is a recycling search tool called RecycleNation. However if your home is in Chicago, we can help you out with more info on recycling tarps as well as some great ways to repurpose tarps. In Chicago, only plastics #1, 2, 3, 4, 5, and 7 can be recycled. Any plastic that is not identified with a number or is #6 must go into the trash. Tarps fall into the “trash it” category as it is rare for them to be stamped with one specific number. If you search the national database Earth911, as the City of Chicago recommends, to see who may take used tarps, expect to find no results. No companies or organizations accept tarps according to that site. You will have to toss your tarp into the trash. In the City of Chicago, bag the tarp with your other trash and put it into your curbside trash container. What if you really don’t want to toss an entire tarp in the trash? It’s understandable. While that tarp is no longer serving its original purpose, it doesn’t mean it’s useless. Repurposing an old tarp is one way to keep it from filling up your trash. Try out our handy ways to reuse a tarp. Do you garden? If you’ve ever thought about gardening or love to garden, raised beds make it easier to avoid excessive weeds and insect pests. Cut the unwanted tarp to fit the bottom of the raised bed. It will help kill the weeds and grass below your garden area. If you’re worried about water building up and causing root rot, a layer of crushed stone and sand will help with drainage. Secure a section of the trimmed tarp to the bottom of a child’s sandbox. It will deter ants from trying to turn the sandbox into their home. The tarp will also keep grass and weeds from growing into the sandbox. Speaking of sandboxes, how about taking a smaller section of tarp and attaching each corner to four bamboo poles. You’ll find these poles in garden supplies or home improvement stores. Place that tarp over a sandbox or child’s pool to keep children from getting too much sun. How much of the tarp is in good shape? If there are sections that are okay, cut those areas into squares of equal size. Sew two squares together on three sides. Turn the material inside out and fill with material like foam beads or polyfill stuffing. Sew up the remaining side. You have a waterproof pillow for your outdoor deck or patio furniture. Take your large tarp and cut it down to fit over an outdoor patio fire pit or charcoal grill. In between uses, your fire pit or grill stays dry. When it’s time for your next fire, everything is dry and kindling will ignite quickly. You also help prevent rust. Take a strip of canvas. Aim for a strip that’s about 4 by 3 feet. Sew all of the edges and add handles on each shorter end using a thick section of rope. When you’re carrying in firewood, you have a log carrier that is durable and easy to use. Do you have any shrubs that are close to the road? Salt and sand during the winter can damage trees and shrubs. Use old tarps to cover them and protect them from winter damage. Could someone else use the tarp? Post an add in a community forum, Craigslist, or on social media. Ask area schools if they could use it for student craft projects. You’d be surprised how many people can take a worn tarp and put it to good use. Some of the places you can call to see if they need tarps are paint contractors. Tarps make great drop cloths. You can check with local daycares if they need used tarps to create shady areas. Ask at local farms, too. Gardeners often need tarps to cover seedlings during an unexpected frost. The best way to keep tarps from filling up landfills is by making sure you get a high-quality tarp that will last a long time. 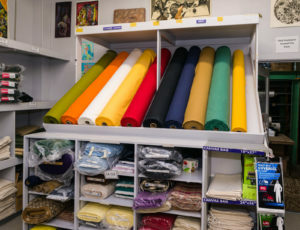 Chicago Canvas & Supply sells many tarps using different materials. We have canvas, clear PVC, Iron Horse polyester, mesh, poly, and vinyl tarps. Call us to learn more or complete the online form to get a custom quote. Muslin fabric has long been a fabric of choice due to its multiple uses. 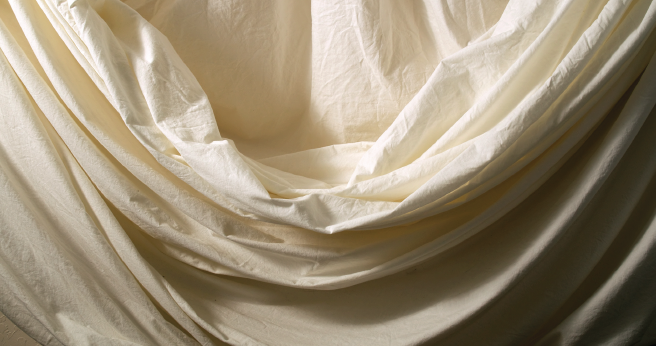 Muslin is a lightweight, woven, (highly) breathable cotton fabric. 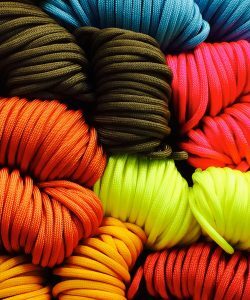 It is not as coarse or as heavy as a canvas fabric, for example, although it does come in a wide range of weights (delicate to coarse) . It comes in a variety of colors such as natural, bleached white, black, etc., as well as unbleached and free of dye. Muslin can be sold both as a flame retardant or non-flame retardant fabric, and in varying sizes, too. Whether heavy or lightweight, you can find the muslin that is right for your project or needs! A wonderful way to purchase muslin is when it is 100% cotton and unbleached or dyed. This allows you to start with a base of a neutral color (off white or cream) to style and design for your particular desired use. It’s neutrality as well as it’s durability makes it more versatile for uses across professional or commercial industries, as well as for personal use at home. Theater – Muslin has long been one of the most popular fabrics used in the theater. 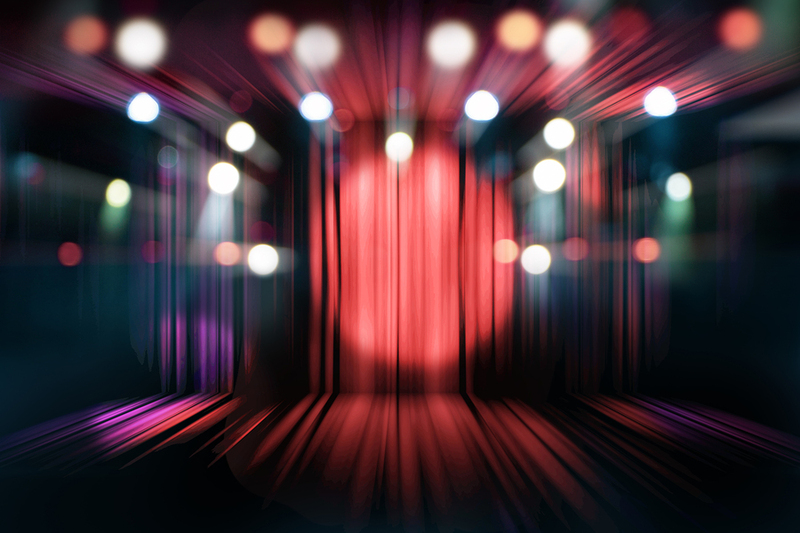 It’s widely used for set designs, stage flats, backgrounds and props, for example. Quilting – Muslin fabric can be used as the back of a quilt or even for the entire quilting project itself. The neutral color of the undyed fabric is great on its own, and a good starting point if you want to dye or add patterns and color to the fabric. Clothing – Due to the lightweight and breathable nature of the fabric itself, a set of pants and shirt that you could wear in the summertime or to the beach are an excellent match. Imagine how lightweight and comfortable linen is, and not only is it breathable but also protects from the sun. 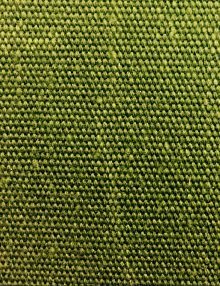 Upholstery – Use this fabric for an upholstery project. You could use it for a cover for a piece of furniture such as a sofa, or the cover of the seat of a dining room chair, or an armchair. The natural lighter color of the fabric could brighten up an antique piece, for example. Pillows or aisle runners are some additional examples of uses for home furniture. Blanket – A baby blanket if perfect for this type of fabric. It’s lightweight and would be great for covering a baby or child in a stroller (which also conveniently protects them from the sun and dust or wind). Adjustable baby swaddle or breastfeeding cover – Muslin fabric is very commonly used among mothers for children with its characteristics and versatility. You could make an adjustable baby swaddle which goes around your body to hold a baby, and it could also be used as a breastfeeding cover so you can feed your baby with greater privacy. Pram cover – this is essentially a cover that can go over a baby stroller. Often, strollers with babies or young children are covered with this ‘banket’ in order to protect the child from the elements (sun, wind, cooler air). The lightweight nature of muslin is unique for a pram cover since it easily allows for air flow. Washcloth – How convenient! The breathability of this fabric makes an excellent washcloth for face. It helps to remove dirt and makeup, and to exfoliate the skin. Ribbons/Home decor – are a good example of one way that muslin fabric can be used for wrapping gifts or for decorations around the home, or even a store! You can easily dye the fabric into any color you want and to take it a step farther, designs can even be stamped onto the fabric, too. This adds a really unique touch to handmade gifts! Other home decor might include accent curtains or dividers for a room, a draped ceiling and walls (sometimes these are used at a spa, too), wall coverings, window treatments, floral treatments, wall covering, or backdrops. Lastly, you can make sheets or even teabags from muslin fabric! Cooking – Although it’s not something we think about everyday, fabric can very easily be used for cooking. Muslin fabric can be used to wrap vegetables to help remove moisture from them. Another great use is for squeezing lemons. You can slice a lemon in half, cover the half of the lemon with the cloth and then squeeze the juice into a cup or jar below. This will keep the lemon seeds out, functioning just like a strainer. Perhaps the ‘fanciest’ and most delicious way to use this fabric is for making cheese. Using muslin with cheese, it is affordable, easy, washable and reusable. For cooking, use light unbleached cotton muslin fabric. After each use, rinse the fabric immediately. You can wash it either in the washing machine or by hand in the sink. If using a washing machine, wash it in a cold temperature for colors (and with like colors), and warm or hot for lights and white (and with like colors). If washing in the sink, use warm water and add a half an ounce or so of detergent. You can soak the items for an hour or so, and then use cool water to rinse it. Try to avoid using any detergents, fabric softeners, or harsh chemicals if you are using the fabric for food, or if there are any sensitivities to these things in general. If you are rinsing the fabric after using it for cheese, you may want to add white vinegar to help remove any of the cheese curd. One other thing to keep in mind about muslin fabric in general is that it does wrinkle when it becomes wet. When drying muslin fabric, it may shrink, since it’s made of woven cotton, but not as much as a knit cotton. To dry, you can lay the fabric flat or tumble it on low — and do not iron or dry clean it! As you can see, Muslin is a very versatile choice for a wide range of projects. While this fabric is popularly used within the theater world, there are many uses for home purposes too. We sell a muslin fabric that is 100% cotton and dye free. As mentioned, this is a great starting point for many projects. Buy your muslin fabric and get started today! Using drop cloths for painting is a seamless way to cover up furniture and belongings that you do not want to be ruined or contaminated with paint or any products you are using for your project. 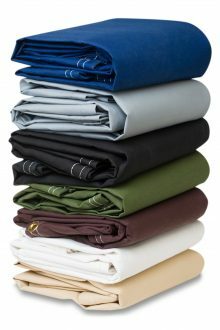 Drop cloths come in all kinds of sizes, patterns even, quality, and price ranges. You can purchase them in bulk, as well, which can be more cost effective, of course. There a few different kinds of drop cloths, but natural cotton, canvas, butyl (rubber coated) and plastic and paper drop cloths are common. 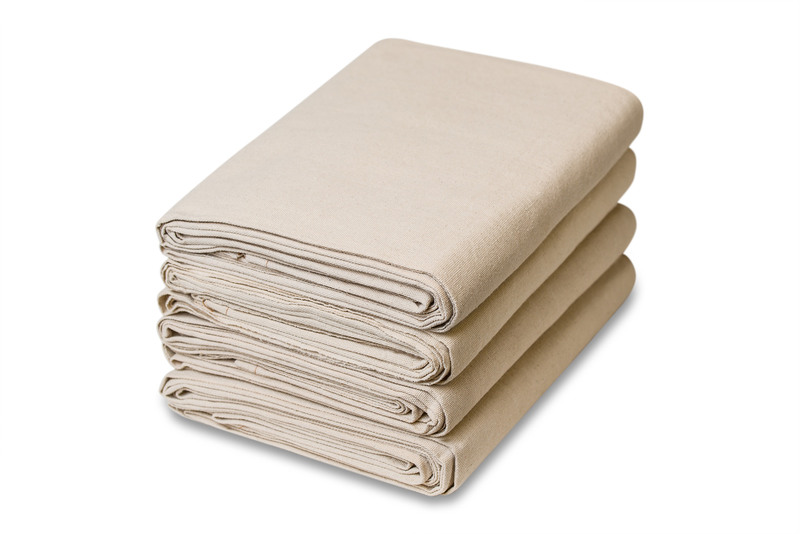 In general, Canvas drop cloths are reliably durable, reusable, and are especially great because they can also be used outdoors. Canvas is probably the most common choice of drop cloth for professional painters. Fortunately, canvas can be washed and reused. Additionally, canvas cloths may be made from recycled fabrics which makes them an environmentally friendly choice. Butyl drop cloths are another option that are rubber coated and are slip resistant, so this is a nice added bonus! Butyl drop cloths are also helpful for covering and keeping bushes protected outdoors. Plastic drop cloths are a more economical option, and plastic is very light; it can protect against dust, wind and dirt too. 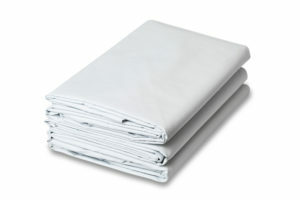 It’s true that this is the most cost-effective option, but some types of plastic drop cloths are for one time uses only. Remember, if you do decide to purchase a reusable drop cloth, that it’s also an investment in them since they are something you can use time and time again. If a painting job is on the horizon for you, use these ten tips to reduce your stress while completing the project! If you keep these things in mind, you can go about the job with less worry about something getting damaged along the way. After all, you are aiming for a new look, (or to maintain your current one) and the last thing you want is any of your valuable, personal belongings being affected. When using a drop cloth, make sure you place the same side face down on the furniture each time so you aren’t getting any paint or particles on the furniture itself. It will probably be best to find a drop cloth that is larger than the size of the furniture or piece so the piece can be fully covered with ease. This can give you a peace of mind knowing that the full piece is protected. If you have a longer term project, it could be a good idea to get a colored drop cloth that matches its surrounding environment — or quite frankly is something you want to look at for an extended period of time! Canvas drop cloths are a great option if there is likely to be more mess, since they are durable and tightly woven. (If you want to preserve greater storage space, though, canvas drop cloths are not the best option for you). Plastic drop cloths are an excellent choice for covering up very large pieces of furniture, kitchen cabinets and windows since it is lightweight. Keep in mind that it is not as absorbent as canvas, for example. Before you are ready to use a drop cloth, make sure that the space you are covering has been cleaned first. This way, you won’t trap any excess dirt underneath — this may be especially helpful for a long term project. Tape (masking tape is a good option) the bottom, sides, or loose pieces of the drop cloth onto the wall or the piece of furniture it is covering. You do want to consider this based on each piece, though. You might not want to tape a piece of plastic drop cloth to a kitchen cabinet, but rather to the wall or a piece of furniture near it, so if there is spillage, it can run off, instead of onto the cabinet. 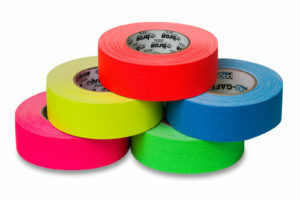 Another way taping can be used is if you have a piece of furniture near the wall (bulky or light). If a couch is covered with a drop cloth, and you are painting the walls in that room, you can tape the lower part of the drop cloth (near the floor) to the wall so anything coming from above doesn’t hit the floor. If you have a small project and do not require a super sturdy option, you can always use paper to cover something. Paper is more slip resistant that plastic, for example, but do keep in mind that it is more likely to rip! As such, paper is not a good alternative for any serious or laborious painting project. Once you have finished your project, allow any paint on the drop cloths to dry completely. If you’re using Canvas or plastic drop cloths, use cold water to wash, and then fold and store your cloths for the next use! 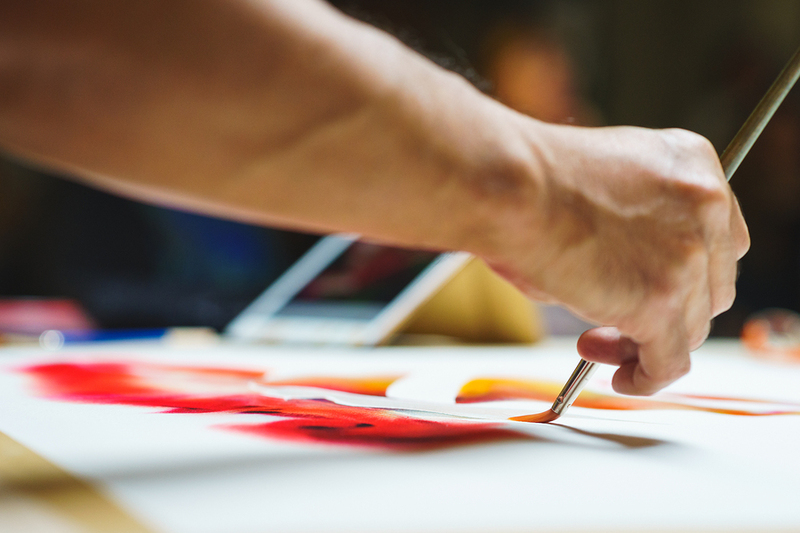 Hopefully these tips can provide as useful guidelines for you as you tackle your next painting project. While the tips shared today were focused on helping you with drop cloths for painting projects, it never hurts to remember to dress for the occasion. Whether you are completing the project on your own, or have hired someone to do it, don’t forget to not wear any valuable, or well liked clothes in painting zones; and good luck!